We are pleased to make you discover it on Radio PLENITUDE, every day, from march 30, 2019 until april 26, 2019 before it enters in a regular programming. Velvet Dream by Nipazen, listening on Radio PLENITUDE from april 20, 2019. Magic Forest by Nipazen, listening on Radio PLENITUDE from february 28, 2019. Love Emotion by Nipazen, listening on Radio PLENITUDE from january 27, 2019. Night by Nipazen, listening on Radio PLENITUDE from january 04, 2019. 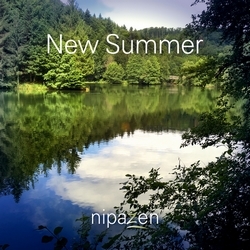 Blue Rivage by Nipazen, listening on Radio PLENITUDE from january 04, 2019.